Today we have a fun project to share from Girl Friday Angie. 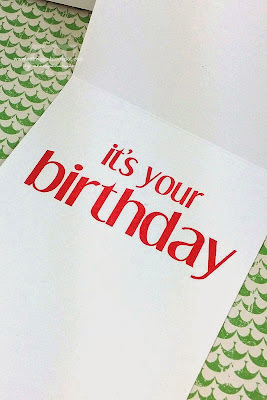 to create a really fun birthday project. 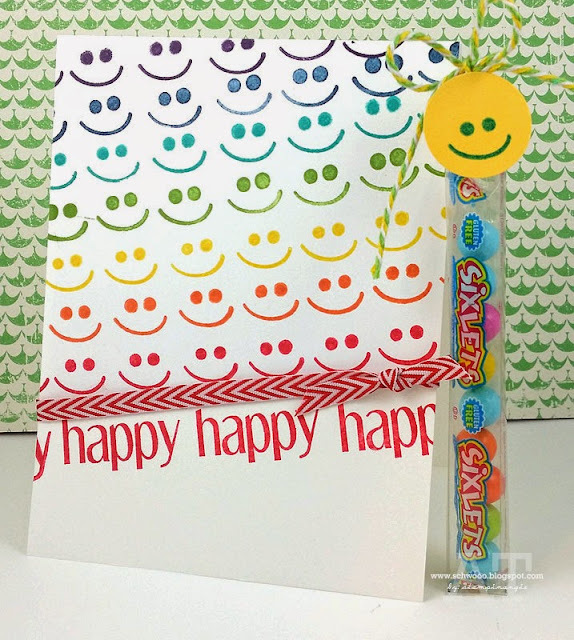 She simply stamped the little smiles in a rainbow of colors to get that darling pattern. I love how she stamped the Shenanigans sentiment off the edge of the card too. How could you not feel happy with all those little smiley faces? Now you may have noticed that cute little treat box next to her card. Angie has a template to share with you so you can create one too. to all the moms out there...Happy Mother's Day! How fun and what a great treat box!